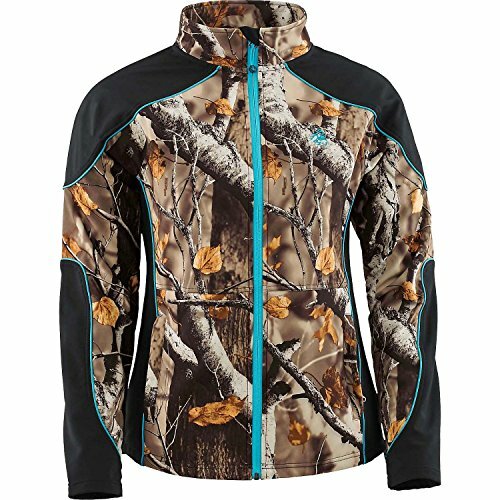 We brought some Big Game® Camo to our ever-popular women's softshell. Made from a fantastic micro-weave shell that's wind/water resistant, and breathable with just the right amount of stretch. Features a cozy soft micro-fleece interior, two large side zippered pockets, and Signature Buck embroidery. Wash: Machine wash cold separately. Do not bleach. Tumble dry low. Warm iron if needed on reverse side only. Do not dry clean.